Adrenaline junkies are everywhere these days, and this has gone hand in hand with the increase in popularity with extreme sports. Anything from white water rafting to off-piste snowboarding are big holiday activities these days. With people trying things at higher speeds, daring heights and with bodily harm risks it is an exciting time to take winter sport holidays. Check out these offerings that can be found in the Alps. Off-trail, downhill skiing is big business for ski companies but this takes it a step further. Not accessed by ski lifts but in a helicopter, this is highly selective environment to enjoy. Heading off by helicopter means that you can find almost virgin land whereby it’s a naturally created terrain with fresh powdered snow for advanced skiers. This can be done with snowboarding too, which is aptly named heli-boarding. Equipment – Standard ski resort gear is obvious so make sure you have goggles, gloves, neck warmers and gloves. Additionally, a backpack should be carried to hold essential supplies and things like probes, shovels and avalanches transceivers just in case there is an incident. Where to do it – It is increasingly popular and there are a number of places to do this sport. Swiss Ski Safari is one of the biggest names around for enjoying the European Alps wilderness. Technique and lower body strength are as standard here. 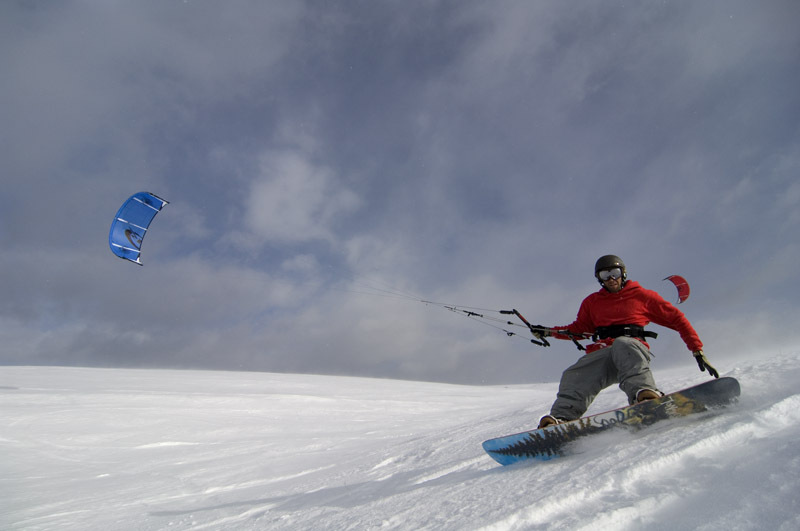 Also known as snowkiting, this is a winter sport that takes most of the elements of kitesurfing. Glide across ice or snow, downhill or uphill, left or right. It is increasingly popular with the adventurers looking for air time, speed and pushing boundaries. Equipment – Safety is, of course, paramount. With these extreme sports, pushing the limits can lead to injuries from whiplash to head injuries. Always wear a helmet along with the standard ski gear, and the kite! Where to do it – Most resorts across Europe have this option available. From Russia to Sweden there are a number of options. As for the Alps, you should be able to find good places in Austria, Switzerland and/or France. Like sledging but for those with a little more adventure in their body, this exciting twist is wacky and relatively unknown, but growing, Another fusion sport and one that has a particularly high thrill factor. Equipment – Drop the jacket and grab the thermal underwear and snow goggles as you cruise down the powdered snow. Helmet as standard, the snowy hills make a nice switch up from the rapids. 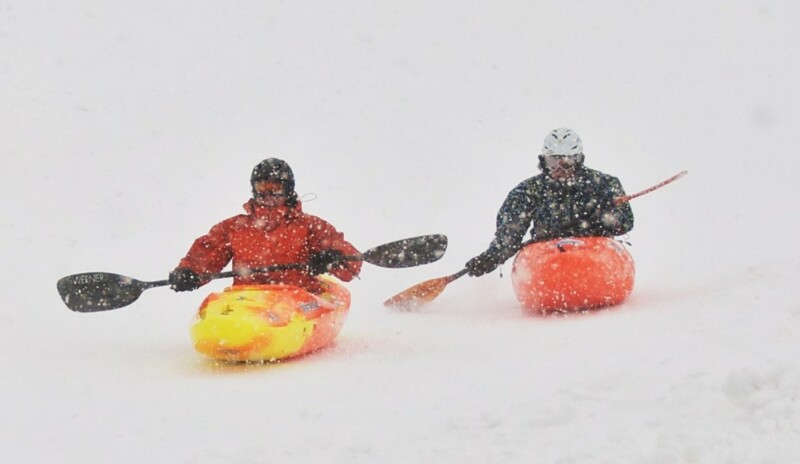 Where to do it – Not available everywhere due to its nature, there are a number of places that allow you to enjoy snowkayaking. Austria, for example, hosts the World Snow Kayaking Championships annually. There are a number of other things for the extremist to consider. Those might be a top three but wingsuit base jumping, ice climbing and polar bear swimming are just three from the best of the rest. They’re all worth consideration but make sure that you wrap up warm and take the recommended precautions!